Whalley Range Sixth Form has been working in partnership with Deloitte for three years and the partnership continues to grow in strength. 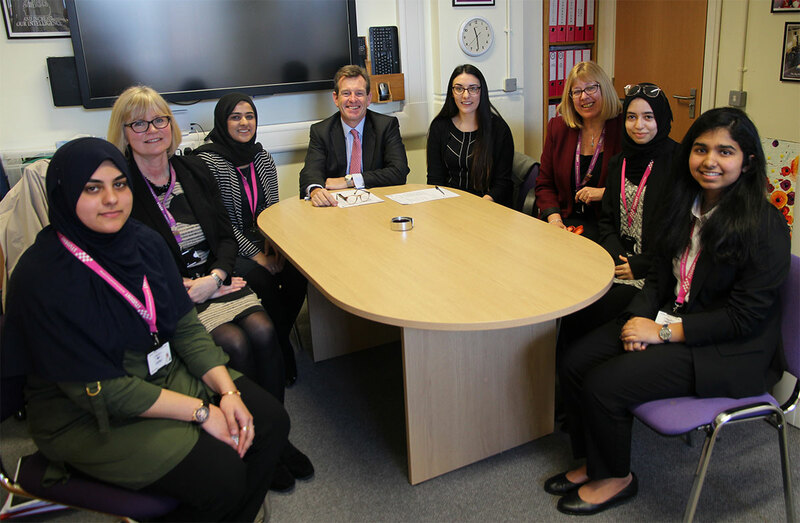 Nick Owen, chairman of North West Europe for Deloitte, and Lauren Clarke from Deloitte, visited Whalley Range 11-18 High School on Tuesday 30th January 2018 to discover for themselves how students have benefited from the partnership. The students said that this was a day they would remember for a long time and the partnership is really making an impact on their life choices. Please visit the Sixth Form section for more information about the Whalley Range Sixth Form College.